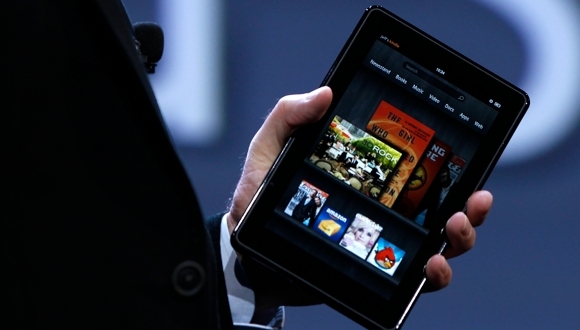 Amazon today announced that sales of its Kindle devices surpassed more than 4 million units, becoming the most popular item on the Internet retailer’s stores in the US, the UK, Germany, France, Spain and Italy. The company also noted that the gifting of Kindle books rose 175% between Black Friday and Christmas compared to a year previous, with Christmas Day becoming the company’s record day for Kindle book downloads. Amazon was also quick to point out the success of its Kindle Direct Publishing (KDP) platform, announcing that the first and fourth bestselling Kindle books were self-published works by KDP publishers. Walter Isaacson’s Steve Jobs biography, Amazon’s bestselling book of 2011, was bought so many times that Amazon customers purchased enough copies to “create a stack taller than Mt. Everest”. Amazon’s Android Appstore saw Angry Birds take the top spot for downloads, followed by TETRIS and Pandora Internet Radio. In terms of smartphone sales, Motorola’s DROID RAZR 4G led the way, beating Samsung’s Galaxy S II Epic Touch and Galaxy S II 4G to the top spot.